It’s no secret that I love Suze Orman. I’ve written a lot about her over the years. I love her no-nonsense attitude to finances, and I love that she gives you clear and concise advice on what to do with your money and how best to handle it. I definitely miss watching her tv show. You could practically hear the people cringing as they brought her their financial questions and she told them flat out that they were crazy and needed to save save save! A lot of times, people would call up and talk to her about their retirement plans. Who doesn’t want to retire, right? But a lot of people are looking to retire relatively young, possibly in their early 60’s. In my mind, retirement age has always started around 62. Assuming I don’t leave the government, I will reach minimum retirement age at 58. But I have never thought I would retire at 58. That’s way too young. After all, two of my grandparents lived well into their 90’s. I’m a good saver, but I’m not that good. At 58, I certainly won’t have the savings to fund another 30+ years of life (which I certainly plan to have). I always figured I was aiming for somewhere around 65, and when I got close to that age, I would start to make a more concrete plan. I know, I know. Suze would probably not be happy with these vague plans, but in my defense, I am putting money away for retirement. (Probably not enough in her eyes, but she’ll never know that.) Basically, I’m planning for retirement, but not longing for it. It’s decades away, after all. I have a lot of living and working to do until then. 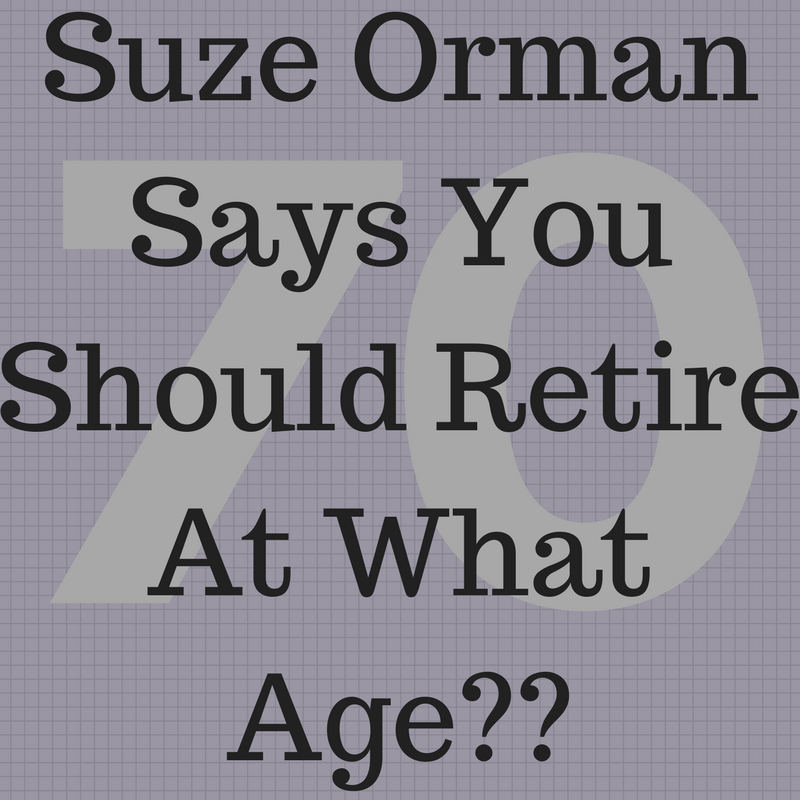 Suze recently wrote an article for Money explaining that the new retirement age isn’t 65. It’s not even 68. No, the new retirement age is 70 years old. Now, as she explains, this isn’t a bad thing. People are living longer, so that means you need more money to fund your retirement. Living longer is a good thing. But you definitely need to be ready for all those expenses that come with retirement, including medical expenses. Plus I want to live a super sweet life in retirement – I don’t want to be scrimping and saving! 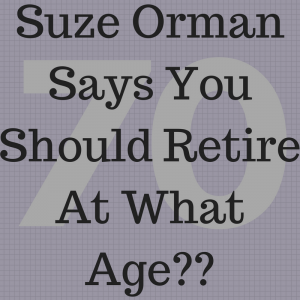 So I’m definitely going to follow her advice to make sure I’m ready to retire at 70. Currently, you are eligible to take Social Security benefits at age 62, but that is a hugely reduced benefit. According to the Social Security Administration, my full retirement age is 67. But if I start taking Social Security at 62, my benefit is reduced 30%! That reduction decreases for each year I wait to retire until I’m 67. And if I wait until I’m 70, my retirement benefits can even be increased! That is a huge difference in what I will receive. So it’s definitely worth waiting until I’m 70. 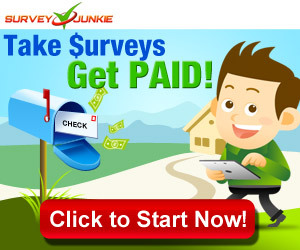 This one seems obvious, but it’s more about the steps you need to take. If you’re like me, this isn’t a big change, but if you’re already 60 and were thinking about retiring at 65, this is a big difference. Instead of seeing yourself retired at 65, where do you now want to be in your career? What kinds of educational opportunities are available to you? Can you go to part time? Figure out what you need to do to make sure you can happily work til 70. If you take the steps to set yourself up for a strong retirement at 70, you will have a fabulous life ahead of you. Save wisely. Take care of your health. And enjoy the fabulous life you’ve set up for yourself. Over the years, I have known plenty of people who worked well past 70. Why? Because they loved it! A number of them went to part time, or took months off at a time to take amazing trips. But because they were doing something they truly enjoyed, the work wasn’t a burden. That’s the position I hope to find myself in as my 70th birthday approaches, but if not, I want to be sure that I’ve set myself up to have an amazing retirement waiting for me. It is definitely a good idea to retire in 70s, but unfortunately these days’ generations are not strong enough to work until 70s. However, retiring in 60s can also be much useful as you can consider sell and stay of home kind of schemes after 62.